During an explosive press conference on Wednesday, hassidic journalist asks Trump what role God plays in his life. An American hassidic journalist utilized Donald Trump's explosive press conference on Wednesday to ask the president about his belief in God. During the press briefing, Trump's first since his Republican party lost control of the US Congress in the midterm elections, Ami Magazine Senior White House Correspondent Jake Turx asked the president to expound on his religious beliefs. "How would you say over the last two years God plays, what kind of a factor he plays, in the day to day execution of the office of the president?" asked Turx. 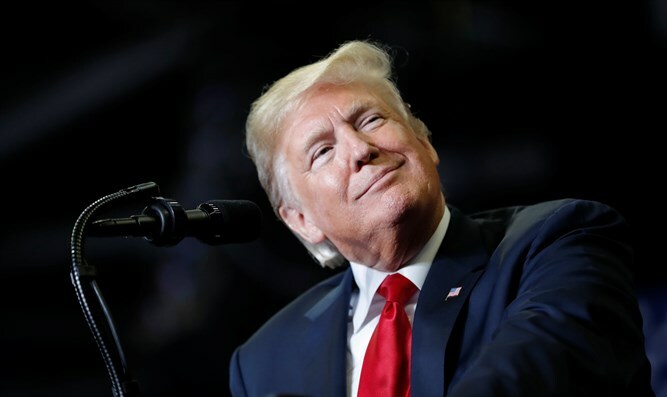 "Well, God plays a big factor in my life, and God plays a factor in the lives of many people that I know very well in this room, like your vice president," responded Trump, referring to the famously devout Vice President Mike Pence. "God plays a very big a role in my life." 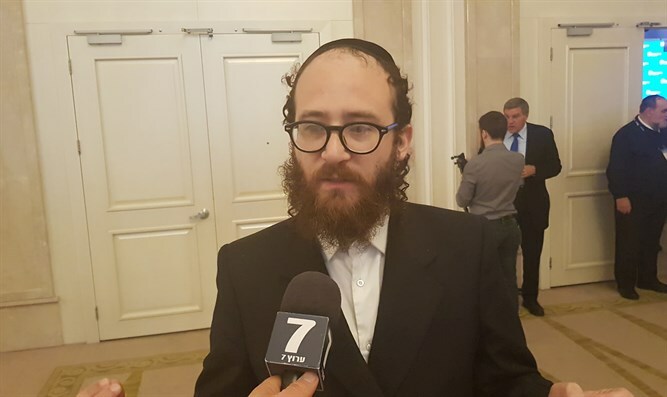 Turx told the Behadrei Haredim website that the question was unplanned, saying that he spontaneously decided to query the president regarding his religious beliefs after he almost missed the press conference. "I was shocked that I managed to get in and found that there was room in the second row, which makes no sense, because whoever gave up the second row, I understood that I had entered the last and probably someone who was supposed to arrive did not arrive," recounted Turx. "I sat down and raised my hand to ask a question, And the first thing that came to mind was the Almighty, so I asked the President whether Gd was involved in his life and how much "
Wednesday's presser was not the first time Turx's interactions with Trump made headlines. In February 2017, Trump erupted on Turx after the journalist asked him what the government planned to do about anti-Semitism. "I am the least anti-Semitic person that you've ever seen in your entire life," Trump had responded, adding that he is also the "least racist person." Trump went on to call the question "insulting", telling Turx that "I find it repulsive. I hate even the question". President Trump's press conference on Wednesday went viral due to a bitter exchange with CNN's White House Correspondent Jim Acosta. After Acosta repeatedly prodded him about illegal immigration, Trump called the veteran reporter a “rude, terrible person." After Acosta continued to ask Trump about the "Russian investigation" despite Trump’s demand that he "put down the mic," a White House official finally took the microphone away from him. “You know what, I think you should let me run the country, you run CNN, and if you did it well, your ratings would be much better," said Trump.